Arguably one of the best years for horror in recent memory, 2018 saw not only reimaginings of famous franchises, but also many original and incredibly effective narratives emerge, resulting in a diverse array of horrifying experiences. One of the biggest discussions of the year among not only fans of the genre, but also of film critics in general, is the debate that some of the year's best horror films weren't actually "horror" movies at all. Instead, they were given labels like "elevated genre" or "thrilling drama," which all horror fans know is merely due to people being afraid to accept the merits of a genre that is often dismissed by pretentious audiences. This isn't to say that audiences weren't delivered straightforward slashers or monster movies, though 2018 will likely be remembered for the ways in which diverse filmmakers delivered unexpected stories that managed to engage not only our desire to confront our own fears, but also connect with us on an emotional level, as these filmmakers maturely blended a variety of tones into uniquely intense experiences. From undead monstrosities to sci-fi scenarios and everything in between, scroll down to see the best horror movies of 2018, in alphabetical order. Based on the novel by Jeff VanderMeer, Annihilation used a sci-fi scenario to explain the self-destructive tendencies of humanity, which can either kill us or make us stronger. An otherworldly event creates an area known as "The Shimmer" on the southern coast of the United States, which the government can't seem to explain. After sending multiple teams into the region, who all go missing, one soldier (Oscar Isaac) manages to emerge, but he's not the person he used to be. His cellular biologist wife (Natalie Portman) offers to head into the Shimmer, only to be confronted by bizarre mutations of familiar animal and plant life, as her teammates disappear one by one. One of the year's more ambitious films, Annihilation seamlessly blended a love story with heavy sci-fi themes, in addition to a healthy dose of traditional horror. The film was ultimately about whether we let the things that can hurt us destroy the things we love or accept that we can emerge from any challenge as a new, stronger version of ourselves, yet one scene featuring a disfigured bear creature remains one of the most unsettling on-screen moments of the year, definitively making it a horror movie. 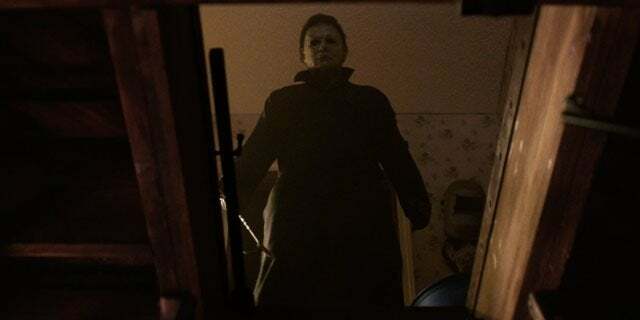 40 years after the first film debuted, this year's Halloween confirmed that Michael Myers is as powerful as ever and, even if the film wasn't a complete home run, reminded audiences of the fun that could be had with an iconic villain. Having been locked up after a night of murders in 1978, Michael Myers returns to his hometown of Haddonfield, Illinois for what should be his final confrontation with Laurie Strode (Jamie Lee Curtis), who has spent the past 40 years preparing for his return. Ignoring all films in the franchise except for the original, Halloween got back to basics in its tale of Myers wreaking havoc in a small town. The return of Curtis to the franchise that helped launch her career gave the film more legitimacy, aiding even further by original director John Carpenter returning to executive produce and compose the score. Myers was scarier than ever, while Curtis brought an emotional gravitas to the effects of her horrifying Halloween as a teenager. The film's financial and mostly critical success is sure to lead to more installments in the series and, no matter what the quality of those new chapters, nothing can change the fact that 2018 saw one of horror's most terrifying villains reign supreme throughout all corners of pop culture. One of the most divisive horror experiences of the year, Hereditary had deep respect for its audiences, refusing to deliver the cheap scares that countless other horror films offer out of obligation, as Aster opted for a deliberately-paced descent into madness. The powerful performances and emphasis on familial drama made the frightening sequences all the more disturbing, making the film not only one of the best horror films of the year, but likely securing itself a spot as one of the best horror films of the decade. 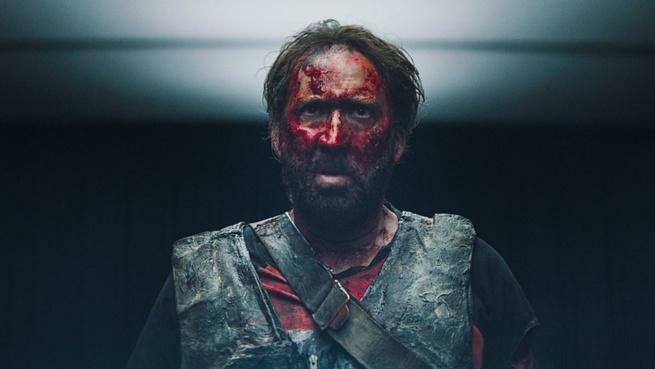 A combination of the internet reducing an actor to merely their most meme-able moments and dozens of captivatingly bizarre performances has given Nicolas Cage a very specific image in the genre world, with Mandy showing off not only his range as a performer, but also offering some of the most powerful moments of his career. After a chance run-in with a sadistic cult, Mandy (Andrea Riseborough) is killed in front of her boyfriend Red (Cage). Not prepared for the lengths he'll go to avenge his love, the cult falls right into Red's crosshairs as he goes on a cocaine-fueled warpath with a massive weapon forged in steel. Mandy gave audiences an experience like no other, thanks not only to its many fantastic performances, but also thanks to the cinematography and score, resulting in one of the most surreal and visceral experiences of the year. From leather-clad bikers to decapitations to pet tigers, it's hard to deny the power of Mandy and its bizarre blend of ingredients that ultimately adds up to a film which even those who didn't enjoy won't be able to stop thinking about for years to come. The genre film combined Nazis, the occult, and horrifying science experiments, which are all tried and true staples of the horror world. What made Overlord such a success was the ways in which all of these elements were blended together, as well as the tension of the storyline and the chemistry between the performers. Despite borrowing many familiar horror themes, Overlord felt wholly original, able to exist as its own isolated story yet with enough intrigue that we won't be surprised to see a franchise emerge from the war-based horror story. A family of four must navigate their lives in silence after mysterious creatures that hunt by sound threatens their survival. If they hear you, they hunt you. Another example of a film tapping into effective tropes of the genre, A Quiet Place was one of the most crowd-pleasing horror experiences of the year, for those of you lucky enough to have seen it in theaters. Falling somewhere between Tremors and Don't Breathe, A Quiet Place was a massive departure from virtually all other films that land in theaters, as it forced audiences to sit in the stillness of the scenario instead of having a high-tech sound system blow us to the back of the theater, keeping us on the edge of our seats for the entire ordeal. Thanks in large part to its talented cast, the film took what could have been a schlocky B-movie and elevated it into a captivating roller coaster ride that deservedly earned itself at least one sequel. After embarking on what she thinks is a romantic getaway, Jen (Matilda Lutz) is targeted by her partner's friends, who sexually assault her and leave her for dead. These sadistic characters don't take into account Jen's will to survive and, more importantly, what she pushes her body to do to make those men pay for what they did to her. The debut feature film from writer/director Coralie Fargeat, Revenge never pulled its punches in either its displays of male entitlement nor in its exploitation film sensibilities. The film soars not only as a blood-soaked tale of vengeance, but also includes a feminist spin that makes it feel like one of the most timely and horrifying genre films of the year. A darkness swirls at the center of a world-renowned dance company, one that will engulf the troupe’s artistic director (Tilda Swinton), an ambitious young dancer (Dakota Johnson), and a grieving psychotherapist (Lutz Ebersdorf). Some will succumb to the nightmare. Others will finally wake up. A reinterpretation of Dario Argento's seminal 1977 film, Suspiria was one of the most anticipated horror films of the year, given how well regarded that original film is in genre fans' minds. Rather than attempt to recapture the magic of the original by remixing its most effective moments, as was the case with Halloween, director Luca Guadagnino turned those expectations on their heads and delivered a surreal nightmare that many audiences would expect from a witch-infested ballet school. 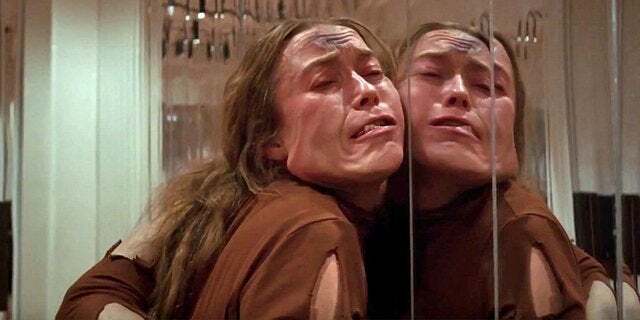 From Thom Yorke's score to Swinton's three different roles to the literally mind-blowing finale, Suspiria gave audiences everything we wanted from a remake while also delivering us something entirely unexpected. A series of strange events begin to unfold in a small community in Buenos Aires, leaving victims dead or unable to explain the terrors that have descended on the neighborhood. Paranormal investigators band together to explore the homes, resulting in more discovering questions than answers. The first 30 minutes alone of Terrified is enough to consider it one of the most jolting horror experiences of the year, a promise which the rest of the film maintains. Fans familiar with ghost stories have grown accustomed to anticipating all manner of scares, yet the staging of many of Terrified's more effective sequences will unsettle even the most veteran of horror fans, reminding viewers that no matter how many times you've seen a ghost story, filmmakers around the world are able to turn tropes on their heads in shocking ways. The film centers on Grey Trace (Logan Marshall-Green), a technophobe in a utopian near-future when computers control nearly everything – from cars to crime-surveillance – who is paralyzed in a freak mugging. But when a billionaire technologist offers him an experimental paralysis cure – an implanted computer chip called STEM – Grey finds that the chip has a voice and a mind of its own. Another 2018 experience that blends elements of sci-fi, action, and horror, Upgrade occupies a very specific niche in the genre community. While casual viewers will appreciate the excitement and inherent humor of a man turned into a killing machine somewhat against his will, fans of '90s straight-to-video sci-fi thrillers and/or RoboCop will love this homage to a subgenre we don't see much of anymore, let alone pulled off this successfully.